Dam storage levels are at 38.5%, with usable water at 28.5%. The City of Cape Town's engineered rationing intervention is starting to have an effect on consumption but water usage must be reduced further. The City supplies sufficient water to an area, but if the demand is too high then those in high-lying areas or high-lying properties will experience some outages. The City, therefore, appeals to those in lower-lying areas to reduce usage to assist in terms of outages in the higher-lying areas. Service will be restored as soon as demand decreases to within the limitations of Level 5 water restrictions. If an area is using above the daily water limit, rationing through advance pressure management will continue until the limit is reached. It is therefore difficult to pin down an exact time for the duration of supply interruptions as it depends on the behaviour of the consumers within a pressure zone. 'Reducing water usage remains the most vital intervention to help see the city through the summer ahead. 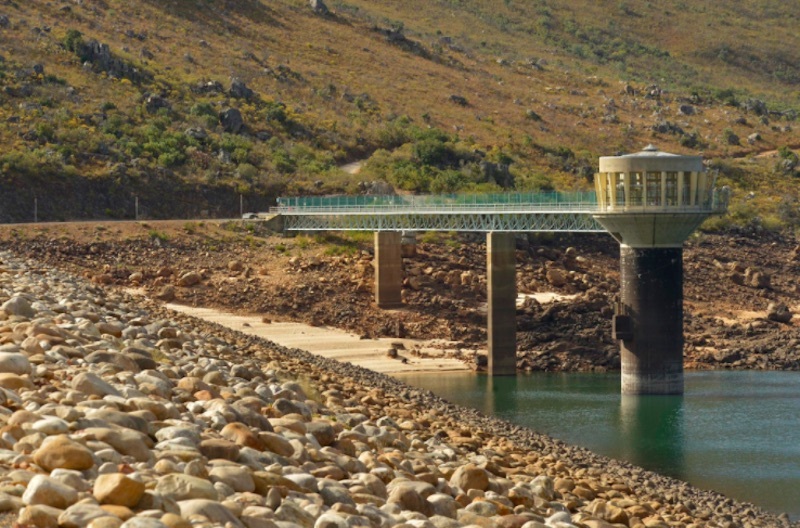 With the help of almost half of Capetonians, as well as our pressure interventions, leak management programme and the installation of water management devices, we have brought usage down from more than 1.1-billion litres per day to the current volume - but further critical measures, such as pressure reduction, must be intensified to maintain reduced demand throughout summer. 'The City continues to install water management devices on the properties of delinquent water users. Almost 7,000 have been installed to date. In addition, emergency augmentation schemes are progressing. It is foreseen that between 130- and 240-million litres per day will be at some stage of production between December 2017 and May 2018. This includes land- and sea-based desalination, water reclamation, and groundwater abstraction projects, if all goes according to plan. "It must be noted that reducing consumption is non-negotiable, irrespective of augmentation projects coming online. We ask all water users to support us and to help us to get through this unprecedented drought which is affecting large parts of South Africa as well," said the City's Mayoral Committee Member for Informal Settlements, Water and Waste Services; and Energy, Councillor Xanthea Limberg. The City is divided into pressure zones. The pressure which controls the rate of flow of water is managed by manually or remotely manipulating pressure valves in the reticulation network. The City has been using pressure reduction to force consumption down and is now applying advance pressure reduction. As per the water restrictions, the City is supplying water according to the required level. If more water is used than what is supplied, outages could be experienced. If an area is using water above the daily limitation, the pressure will be reduced to the required level to force consumption down. When consumers reduce consumption, the pressure is restored.